what was the duration of your preparation? So is that correct? or I can get further extension also? Reported and Approved 60 PDU what next? I reported all 60 PDU in first year i.e. last may I passed PMP and after reporting I have also renewed the membership. 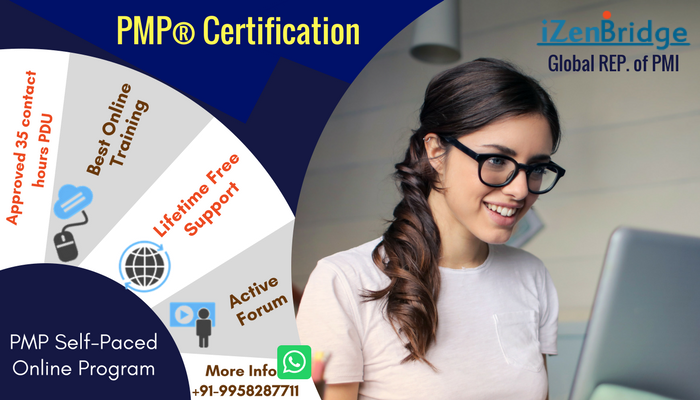 What is the next step to get your PMP certification validity extension. How many days / years I get extension ? Since the standard was out. Could you please list of the reference book and materials in specific order which can be considered for own study apart from your online program. Topic: PMI-PBA or CBAP which one to opt ? Re: PMI-PBA or CBAP which one to opt ? So in order to start studying for November exam, can we take Izenbridge Course? I am still not clear and not able to decide PMI PBA or CBAP which one is more renowned Secondly is PBA open for giving exams.. I suggest solve questions from authentic sources. Such questions might deviate your actual study hours and plan. Sharing integration management chapter notes. Please note these are personal notes just sharing for other's benefit. I will be uploading for other chapters also. Interesting thread. There are certainly some questions related to FF and SS relationship in placed and asking for lead and lag etc. Topic: Tand M or Cost Reimbursable contract? Re: Tand M or Cost Reimbursable contract? I went through slides but I wanted to precisely know the examples of Cost Reimbursable Incentive Fee (CPIF) , Cost Reimbursable Award Fee (CPAF) -?? In the slides common examples given are - Event Mangment , Surgery and Car Service. Anyone has anysheet prepared for all the formula based on PMBOK5 ..please share .. Yes Saket Atypical I meant the same actually. But may be wrong in phrasing. In the phase of getting glossary terms, I came across Activity Code and Activity Identifier. Both seems to be same. Could you please check and let me know? Topic: Risk Hangout : When to plan Mitigation ? Re: Risk Hangout : When to plan Mitigation ? When does watchlist gets actually created in - Qualitative process during prioritizing Right?? I was referring one notes file. Is this correct? This certainly motivates others. I remember we discussing few questions on Gtalk etc. Wow .. Saket Thanks a lot ..at least now out of a deadlock of thoughts and definition. I am going to go with last para and just concept. So since it is part of Project Management System ..it is part of EEF also right? Superb. Thanks for sharing the lessons learned. Could you please tell what was the score in Practice test from various channels you mentioned like Izenbridge, Scordo, Simplilearn etc? Please share lessons learned and study plan. You inputs will be helpful and valuable.